Get started with a trial program today! Heavy Bag Kickboxing is an intense high-impact kickboxing workout. Using Muay Thai striking techniques, participants increase their strength, stamina and endurance on Wavemaster heavy bags. Motivating music and dynamic exercise combinations round out your experience. Get the most of your workout! 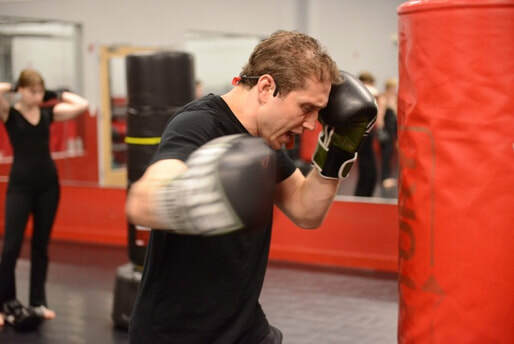 Our 45 minute class format incorporates cardio aerobic training, strength and conditioning and powerful kickboxing techniques to give you everything you need in one challenging and dynamic class.